Last night was hella fun! But the night started with a happy hour hosted at our condo with a small appetizer prepared by me, inspired by Gordon Ramsay. Earlier in the day I was at Taylor Shellfish on Capitol Hill and I bought diver scallops. 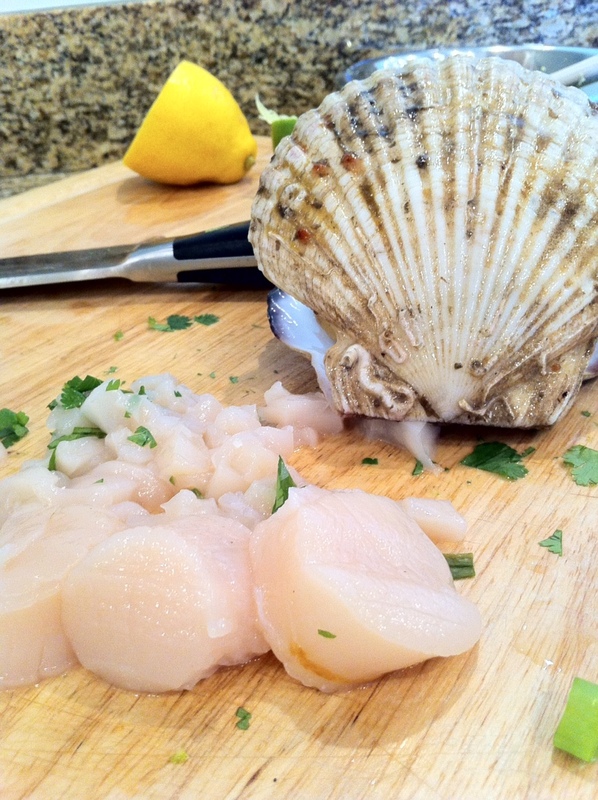 I have watched Gordon Ramsay make Scallop tartare 10x but I never have been able to find diver scallops. I am so used to seeing scallops without a shell I just figured they sit at the bottom of the ocean like that 🙂 I have tried to make scallop tarter before with regular ‘dredged’ scallops but the flavor was just off. Without rambling too much here is this amazing happy hour appetizer recipe. Simply watch this Gordon Ramsay video on how to make Scallop Tartare with diver scallops which also shows you how to remove the scallop from the shell. A light/ fresh option before hitting the town. As for the ingredients above. 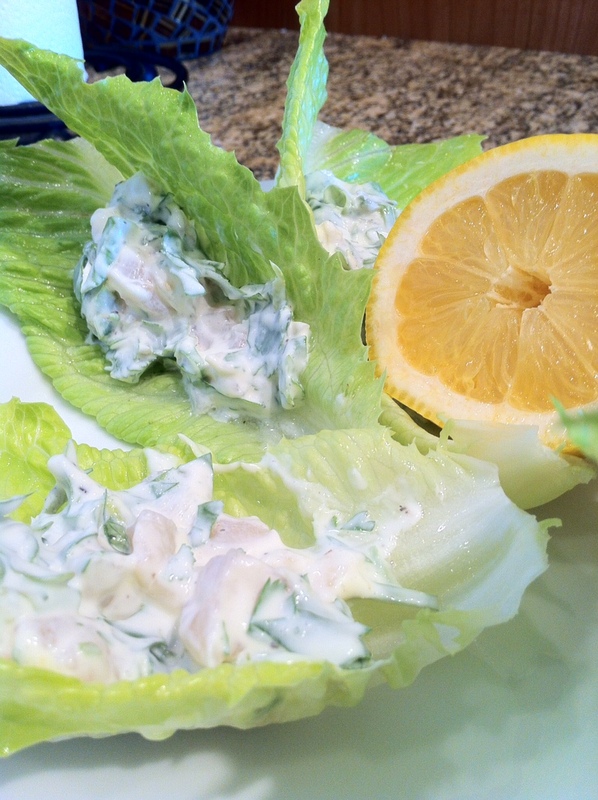 About a healthy table spoon of each is enough (besides the lettuce) which you use as a wrap. 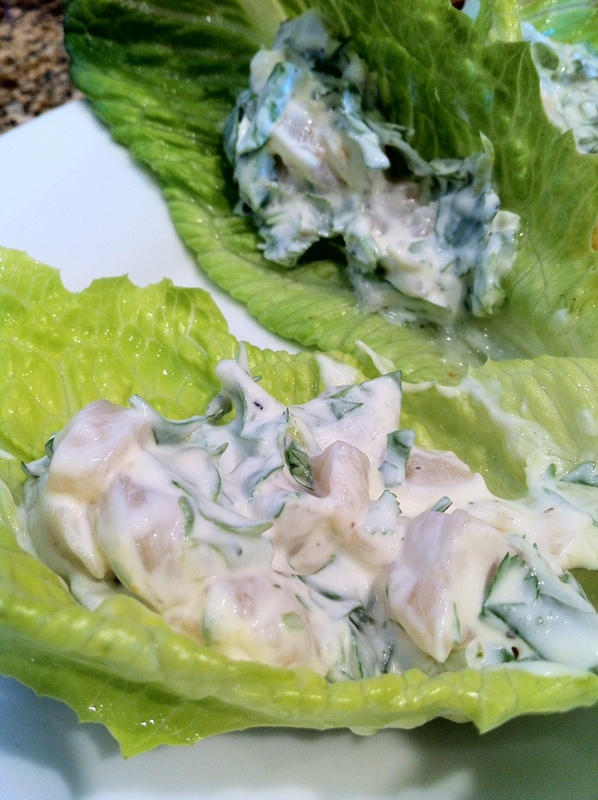 This is a great, fresh and light appetizer before tipping back martinis at Flying Fish! Sounds good … and love reading about Seattle! Thank you! Anytime your here look us up.